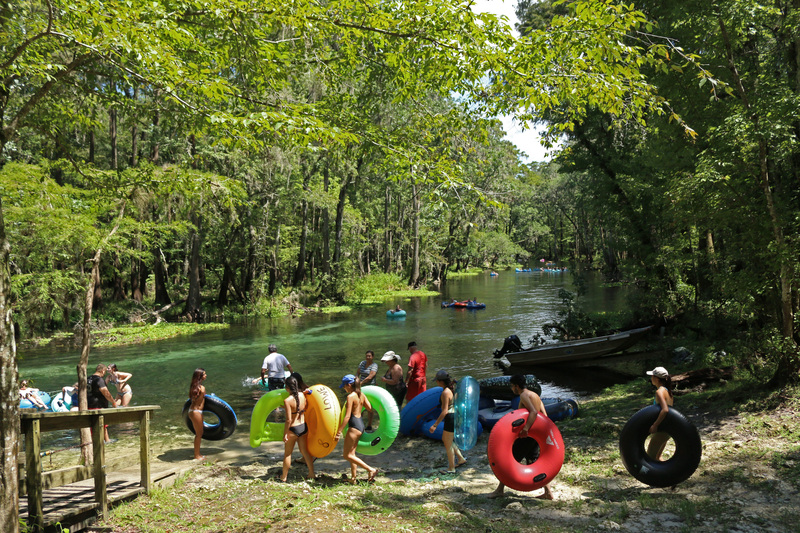 I visited Ichetucknee Springs in one of the park’s busiest weekends of the year: Labor Day weekend. As my husband and I pulled into the southern entrance, we quickly found ourselves surrounded by tubes and colorful floating devices. For a small fee, staff will take visitors on a tram upriver, letting them lazily float back down for miles. I can honestly say I’ve never seen anything like it. The water of the river – spring fed – was cool and clear, appearing bright blue against the green of the bordering cypress trees and waving ferns. Aquatic plants danced in the current, the same current that took tubers past where we stood on a wooden dock. The vivid colors struck me the most, both of the natural world as well those of the bathing suits and tubes themselves. Read the rest on Firsthand Florida Fun.